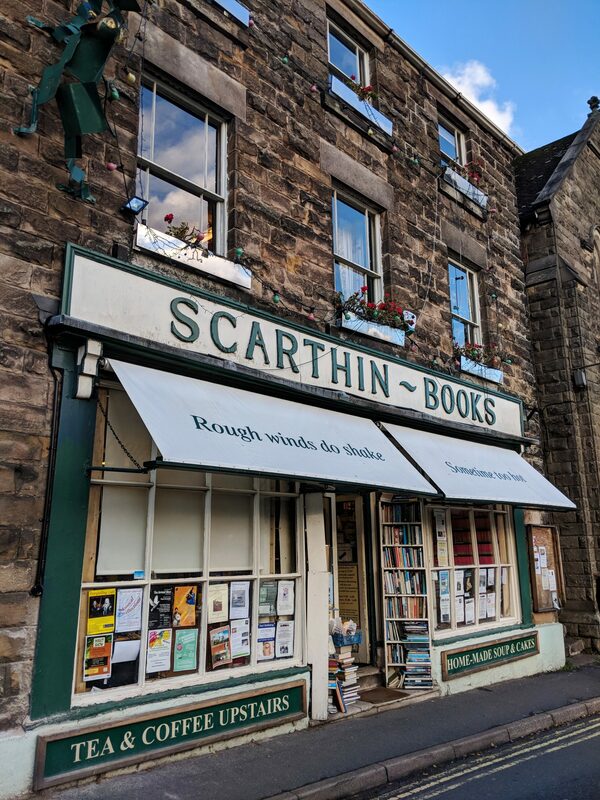 Scarthin Books has been part of my life since I was a kid and in true Derbyshire fashion, the bookshop hasn’t changed much over the years. 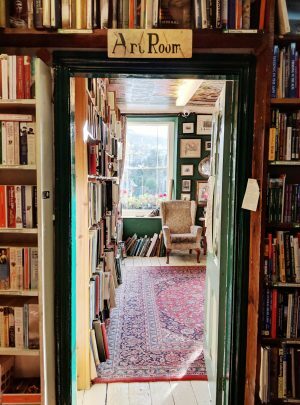 It’s still brilliantly quirky with a mixture of new and secondhand books, an excellent vegetarian/vegan cafe and a tiny little garden. The titles are scattered over three floors (not including various offshoots and oddities) and numerous alcoves so it’s a real experience to spend time here. The shop overlooks a tranquil millpond and is situated in Cromford, a village close to the town of Matlock. 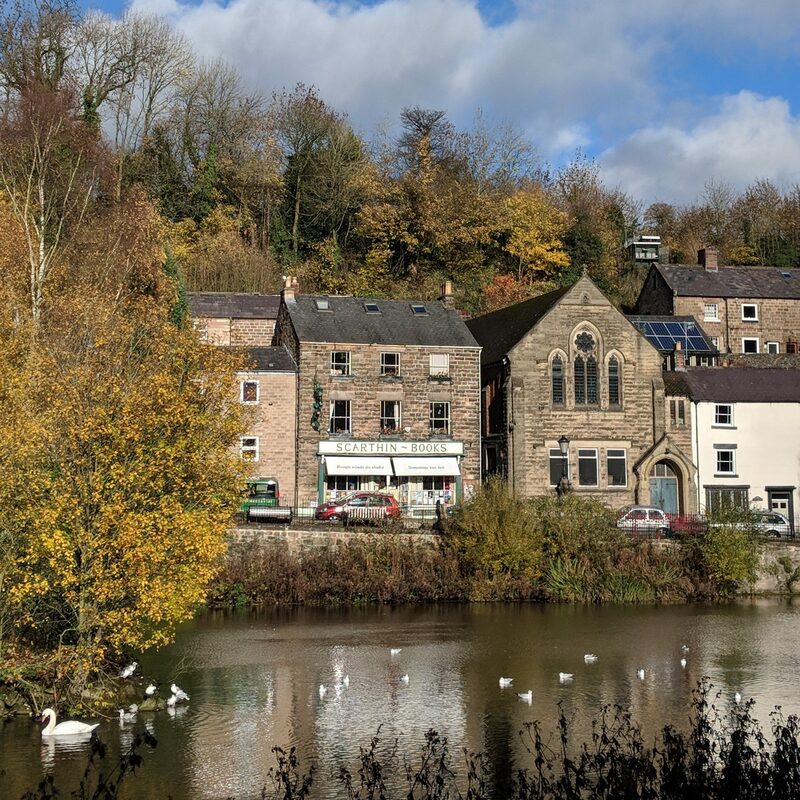 Because of the historic nature of the village (it played an important part in the development of the Industrial Revolution), there isn’t a dedicated car park, but you can find spaces on the surrounding roads and also at the nearby Cromford Mills. Although tourists often choose to visit the adjoining resort of Matlock Bath, Cromford has charms to match, if not exceed its flashier neighbour. Once you’re inside the bookshop you might as well forget everything else though. The small ground floor section has a bewildering display of new releases, travel books, classics and modern fiction (not to mention the narrow corridor at the back with secondhand children’s books and travel titles). If you need to find out information or pay then the cashier sits here too. Recent publications are displayed just as you walk in so we always have a look at these before seeking out more breathing space upstairs (with a peek at the Gift Room on the way). The first floor is my personal favourite. There’s an incredibly well-stocked children’s room with over 9000 books ranging from board books to young adult titles. It’s small yet welcoming and Little M likes to sit on the tiny stools in here while we take it in turns to browse through the Art Room shelves next door. Bright with two comfy armchairs and walls that are lined with photography, art and multimedia titles, it’s a generous space with plenty of bookish character. And then of course there’s the famous Scarthin Books cafe! Hidden behind a secret bookcase, this welcoming eatery sells delicious veggie and vegan food. On our most recent visit, we tried Broccoli and Mustard soup, red velvet cake (yum!) and Little M had a pizza. It’s hard to find dishes for Al as he’s on the Low-FODMAP diet which means no gluten, no dairy plus a range restricted ingredients, but he was able to enjoy the menu here. 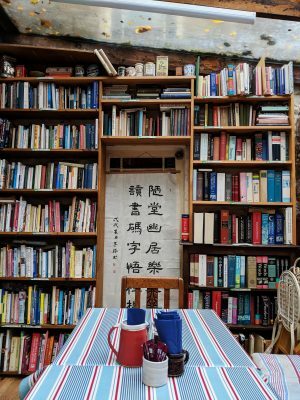 As a bonus you’re surrounded by cookery books and biographies as you dine – a very successful sales technique. We bought Daphne: A Portrait of Daphne Du Maurier by Judith Cook and Virginia Woolf by Hermione Lee on this occasion. Writing this, I’m aware that I’ve only just scraped the surface of the Scarthin Books experience. 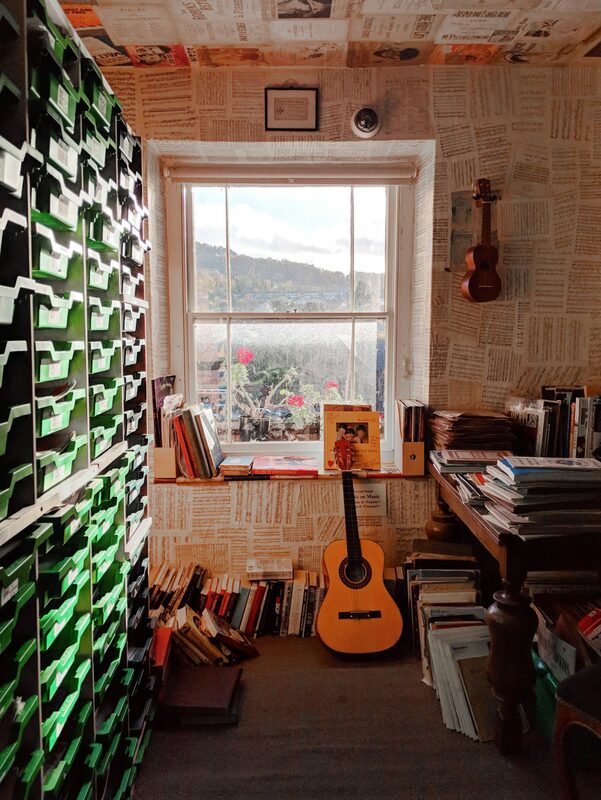 It’s more like a world in itself – peopled by artists, booksellers, writers and enthusiasts. For lucky local residents, the shop hosts a regular Book Club, Cafe Philosophique, author talks and a Young Fiction Review Panel. It even has it’s own publishing imprint. 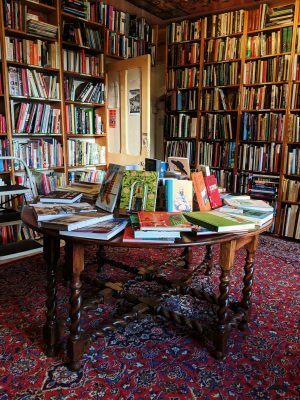 This is a bookshop that serious bibliophiles dream of and it has to be on every book lover’s travel list. This bookshop is child-friendly with menu options for kids. Under 8s need to be supervised and space can be restricted inside the building if it’s busy. There are steps, stairs and no lift so avoid taking a buggy. To make a family day of it, you could easily combine this with a visit to Cromford Mills, Gulliver’s Kingdom or The Heights of Abraham (check website for opening restrictions).